Let’s get back to Australian Dollar that we sold following the reversal pattern; the price hasn’t dropped much and we had a small correction. Further on, we can expect a fall into the area of 0.8700 which will be a spot where the 4th point of reference is formed. Then the price will return to the level of 0.8885 and that’s where we start selling Australian Dollar with the general target in the area of 0.8580. If the price is out of the descending channel, it will lead to the situation when this case scenario will be cancelled. 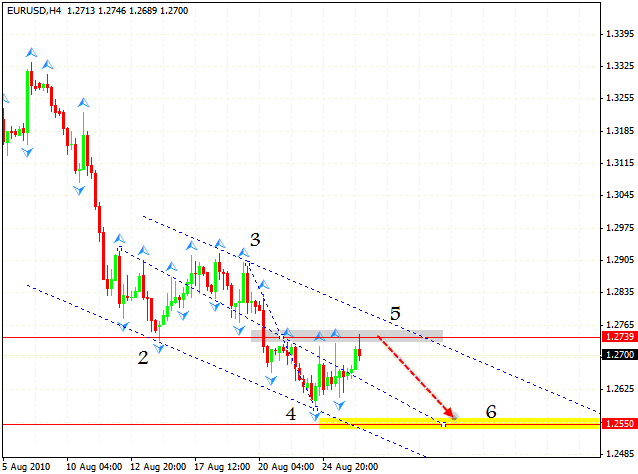 Euro is under influence of descending pattern with the target of 1.2550. As we can see, the price has once more tested the area for the currency pair sales and this level seems to be quite strong. One can try the tight top sales. 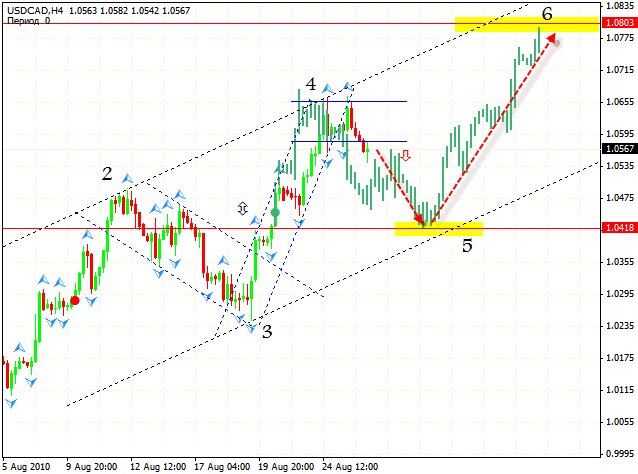 One can try to buy Pound either in the area of 1.5500 or channel’s lower border with the tight stop. 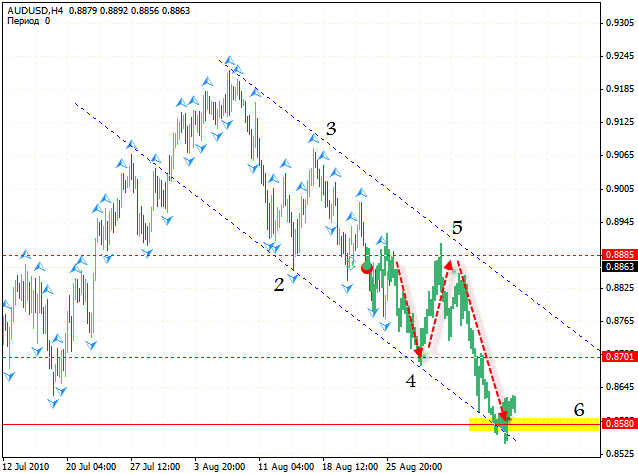 If the price is out of the channel, we will consider the variant which includes further fall of the currency pair. 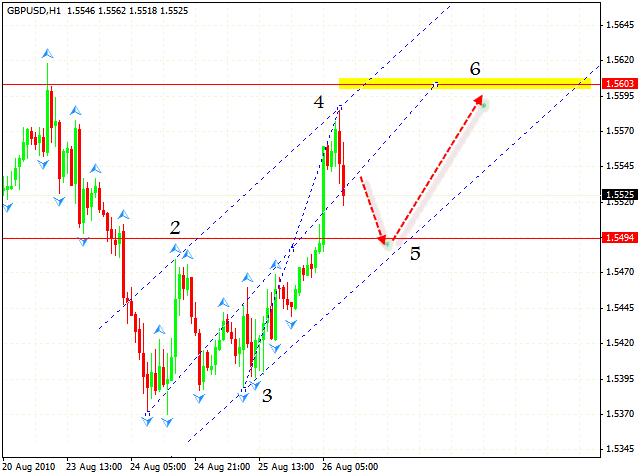 In case of the USD/CAD currency pair we see “double top” pattern forming, one can try to sell the pair. There is a possibility that online forex market has specified a spot for the 4th point of reference and we can expect the fall into the area where the 5th point of reference is formed, the area of 1.0418. Only after that we will see rising pattern and a significant rise into the target area of 1.0800. Currently, one can try the tight top sales.